Due to its geography and dependency on the weather – Ruapehu is known for being unreliable. The same goes for Turoa and Whakapapa ski fields. Luckily – it’s around a hour and thirty minute drive to Lake Taupo. And during cold, windy and rainy weather – what’s better than sinking into steaming hot water? Taupo has a fantastic geothermal wonderland with mud pools and steaming vents. Wairakei Terraces Hot Pools offer varying temperatures with beautiful views and a perfect spot for relaxation. A free entry interactive family fun park, perfect for the kids and adults on a rainy day! Mind Junction also has a café and plenty of paid activities on offer to tempt the children. Mind Junction is situated 10 mins north of Taupo on SH5 towards Rotorua. The 6D Adventure Cinema is a perfect wet day activity, here you get to experience some of the Lake Taupo region’s best adventures all from the comfort of your special effects chair. The 6D Adventure Cinema takes HD 3D footage of the award winning local white water rafting, jetboating, skydiving and Tongariro Alpine Crossing adventures and then combine with synchronised motion, including wind and water effects to create a truly unique cinema experience. Great family activity that showcases premium honey, liqueurs, mead and fruit wines – all offering free tastings. 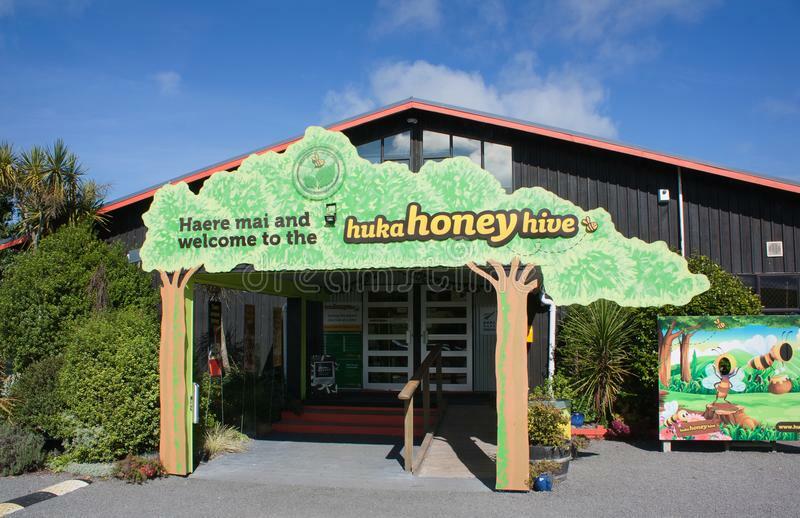 There are live beehives and a range of natural, honey-based skincare. Finish the experience with a delicious-honey ice cream. Gallery, studio, sculpture garden and café. Filled with beautiful glass wear in which you can watch resident artist glass blowing demonstrations. All pieces of art are individually made that vary in size, creating original and authentic pieces. Super cool to watch! 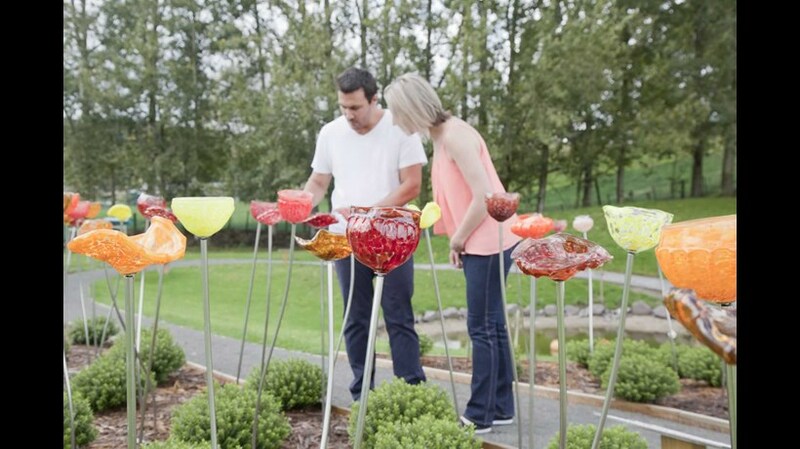 If you enjoyed watching the glass blowing, you’ll love this sculpture garden! The garden is littered with stunning work such as a 15 piece waterfall, glass flowers, glass birds and sculptures. This museum offers an impressive array of Maori NZ artwork and carvings and the work of contemporary local artists, alongside historical exhibitions focusing on the Lake Taupo area. Located just behind the iSITE, entry to the Taupo Museum is just a few dollars. With 432m2 of challenging climbing area and 30 different climbing routes, Taupo’s Indoor Climbing Wall at AC Baths is sure to keep you dry for a few hours. There is also a fitness area and thermal pools onsite. Offering five theatres and a bar, Starlight Cinema is known locally for showing both mainstream and art house movies, with something for everyone. 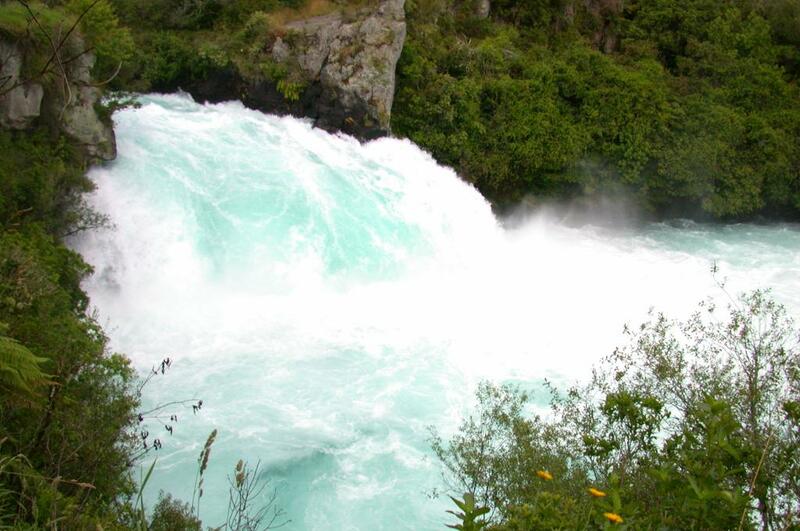 The Huka falls is the largest falls on the Waikato River, albeit rough and uncovered (if you’re sight-seeing in wet conditions) – but it is a force to be reckoned with! The Falls offer breathtaking beauty and is one of the most visited natural attractions in New Zealand. And if you’re into adventure – Taupo has jet-boating, kayaking, river rafting and sky diving – bearing in mind all of these activities are weather dependent!